Ita Fort in Itanagar town, is one of the most important historical sites in the state of Arunachal Pradesh, India. The name literally means “Fort of bricks”( brick being called “Ita” in the Assamese language). 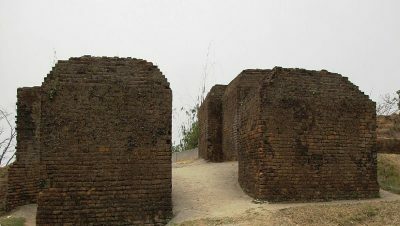 The Ita Fort at Arunachal Pradesh was built as early as the 14th or the 15th century. The fort has an irregular shape, built mainly with bricks dating back to the 14th-15th Century. The total brickwork is of 16,200 cubic metre lengths which was probably built by kings of the Chutiya kingdom which ruled the region during that time. The fort has three different entrances at three different sides, which are western, the eastern and the southern sides.